What is my Best-Selling Item? When is the Peak Hours? Who is my last customer? 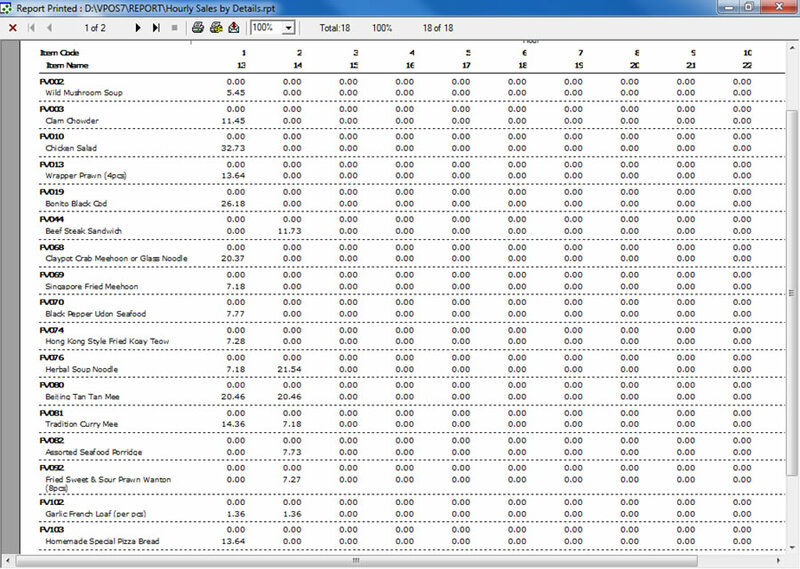 How is my Customer Purchasing Behavior? 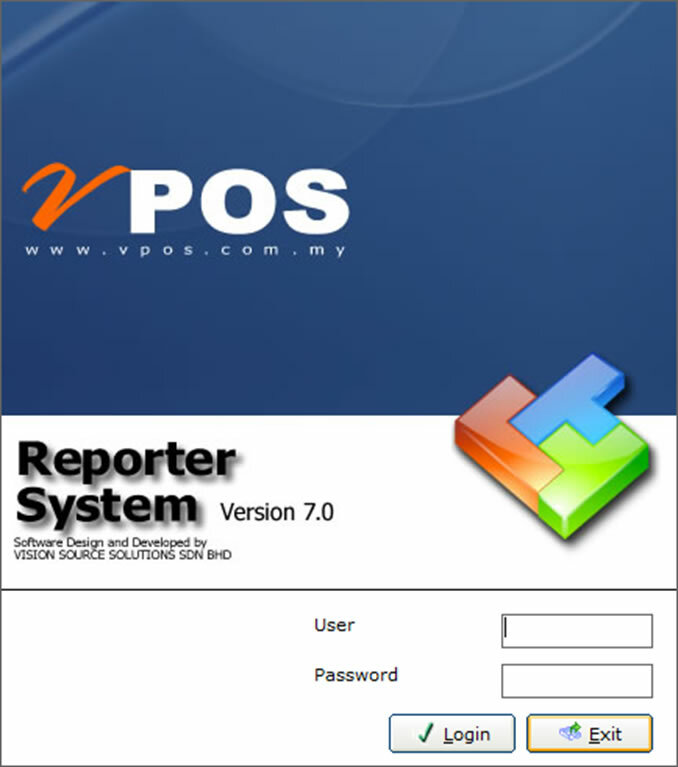 Our New VPOS Reporter system doesn’t not only provide raw data, it provides information of customer purchasing behavior, best-selling item, item report and also staff reporting. Every single data that has been captured on our Point Of Sales (POS) will be translate into information and insight that help your business to grow. 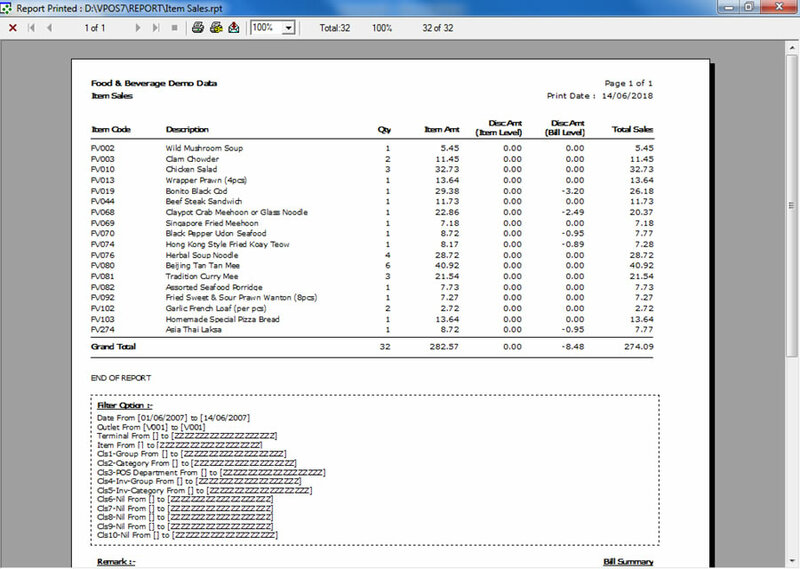 Total discount, sales amount, item purchased, agent sales, commission and everything that you will like to know is right here on your Reporter System. 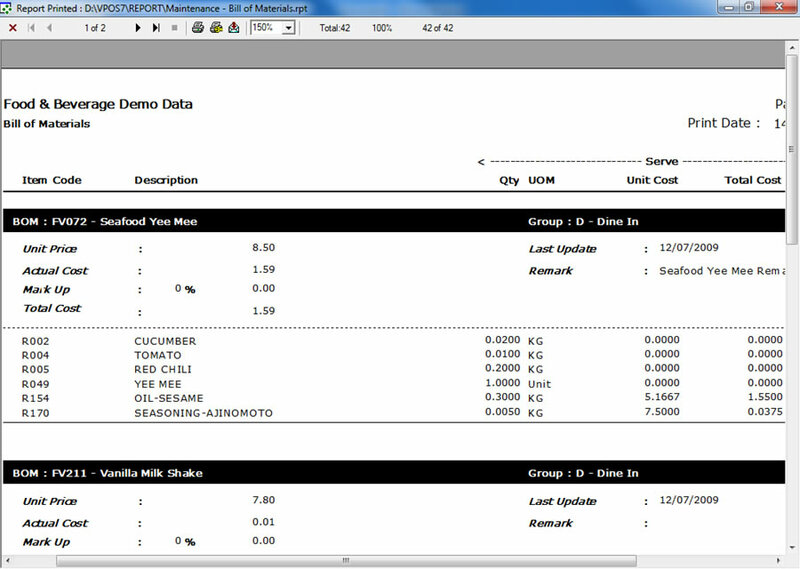 VPOS Point Of Sales allow you to print or export all the report that you need in your preference format. Every business has their own recipes for making their own product such as burger, cookies and other specialties. Using a different amount of raw material could mess up the consistency of the product and the same time would reduce the profit of the company. By having the function of Bill Of Material (BOM) on your Point Of Sales (POS) will help you to understand what you need to build a product, cost and the consistency of your product.